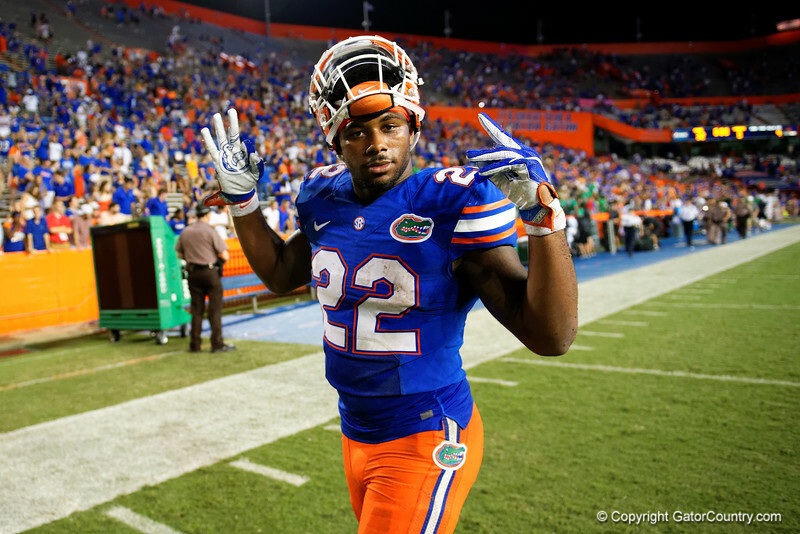 Florida Gators running back Lamical Perine posing for the camera as the Florida Gators football team celebrates defeating the North Texas Mean Green 35-0 at Ben Hill Griffin Stadium. September 17th, 2016. Gator Country photo by David Bowie.